Microsoft has announced that we should all “give Hotmail another look“. This does not mean that Hotmail’s whole interface is changed forever, but there are certainly some new additions that are mainly aimed at e-mail organization and war against “greymail”. The most exciting part of this announcement is the release of an official Hotmail Android app. Microsoft has finally decided to jump on the Android train, and Hotmail and Android users finally have an official app with two-way sync for e-mails, contacts and calendar. The changes in Hotmail include new and better ways to control greymail, which is basically newsletters you’ve signed up to and forgot or changed your mind about. Hotmail now puts all these newsletters into a Newsletter category, and offers a one-click unsubscribe button which is supposed to do the dirty work for you. Among the changes is also Scheduled Cleanup, which helps you keep just the most relevant e-mails. Using this feature you can select a sender (like a newsletter provider) and then choose to keep only the latest e-mail from that sender and delete or move all the old ones. “Flags done right” is another feature which moves all flagged messages to the top of your inbox and also allows you to automatically flag e-mails from a certain sender or with a specific subject line. Microsoft has also finally seen the need for custom categories, and you can now create your own categories and quickly apply them to an entire group of e-mails. As mentioned above, you can now download the official Hotmail app for Android, which is certainly an upgrade for some users. What do you think? Are these changes to Hotmail worthy or should Microsoft consider a much more prominent facelift? Let us know in the comments. 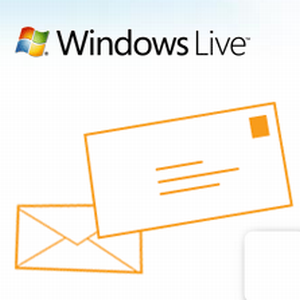 Explore more about: Desktop Email Client, Hotmail, Microsoft. This is useless unless they add two way sync between contacts and calendar. You article seems very misleading as to the working operation of this application. If you got 2-way synchronization working, explain how you did it. I'm actually not a Hotmail user, I use Gmail on my Android device. When Microsoft released the app, they announced it contains two-way sync as well. I tried out the app when writing this article, but could not test it out thoroughly since I'm not a Hotmail user. I, therefore, also didn't claim to have reviewed the app. This is only an announcement that it has been released. I'm sorry if Microsoft decided not to include this feature after all. Maybe you can ask around at MakeUseOf Answers and see if other users have managed to get two-way sync with this app. It does not support .png files!!! I like Homail a lot better than Gmail for mail and calenaring. It also, works better with iPad. No funky connections to get everything in sync on the iPad (mail, calendar and contacts). NEVERTHELESS. I've tried this new ANDROID app and the contacts DO NOT sync two ways! On Android you can only update the name of the contact, but cannot update any phone numbers back to Hotmail or any other information. WORTHLESS, unless this is fixed or corrected. the best thing hotmail could do to its image is change the name. I don't care how great the app is, how great the mail is, how great the interface is... if i have to look someone in the eye and tell them my email address is @hotmail.com I would bust up laughing. That's one of the best comments I've read in a while. :)) So true!